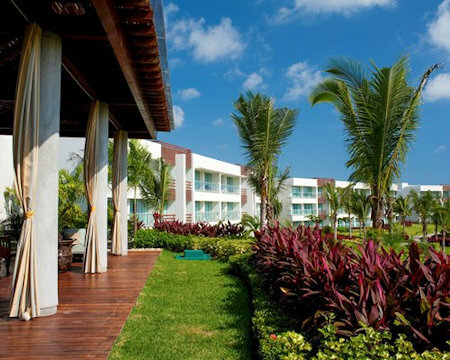 Mayan Palace Acapulco Golf in Acapulco, Mexico - Bid on a 7 Night Stay in a Master Room, 1 or 2 Bedroom Suite! 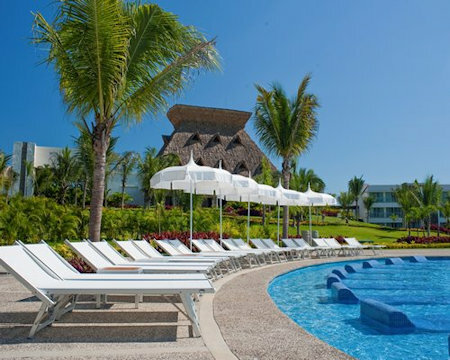 Enjoy 7 Nights in a Master Room, 1 or 2 Bedroom Suite at the Mayan Palace Acapulco in Acapulco, Mexico! 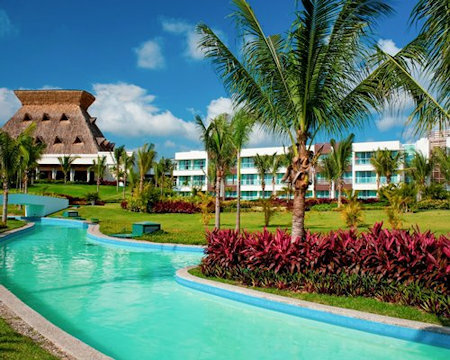 Beautiful gardens, lakes and the majestic Mayan Temple are waiting to be explored in the exclusive Acapulco Diamante Zone, assuming you make it past the grounds of this luxurious resort. 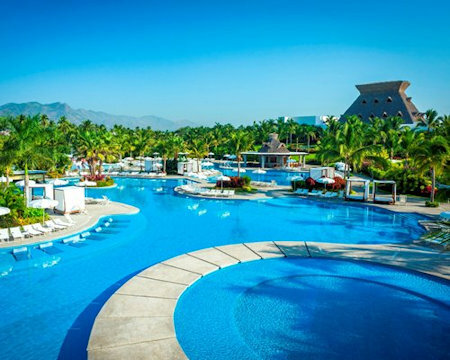 Here you can relax in the largest swimming pool in the world, or grab a racquet and head to the tennis club with 12 courts of different surfaces. A spectacular 18-hole, par 72 golf course also is at your disposal as well as fine dining, shopping - and everything else you need to enjoy the best vacation are here. Acapulco's warm water bay and pristine beaches have been irresistible to visitors since the days of the Aztec Empire. If you want to discover the real Mexico, Acapulco is the place to experience its history, its culture, and its cuisine. The region offers everything you could want from a vacation: fabulous beaches, sizzling nightlife, extraordinary dining, a wide variety of water sports, and nearby cultural and historical sights. Acapulco is also legendary for its great fishing, especially for sailfish. Snorkeling and scuba diving is first-rate in Acapulco. And don't forget to take a swim with the dolphins, or witness the fearless cliff divers of La Quebrada! Acapulco is truly a vacation paradise, with something for everyone. Relax in plush studio, one- and two-bedroom suites that will refresh you with their colorful décor and convenient amenities. Some units’ furnishings include desks and sofa beds. Bathrooms feature jetted bathtubs and separate showers, makeup/shaving mirrors, and designer toiletries. Also provided in some units are kitchens/kitchenettes, and all have in-room safes, direct-dial phones with voice mail, premium cable TV, sitting areas, ceiling fans, and blackout drapes/curtains. Guests may request extra towels/bedding and wake-up calls. A nightly turndown service and housekeeping are available. Cribs and rollaway beds are available on request. 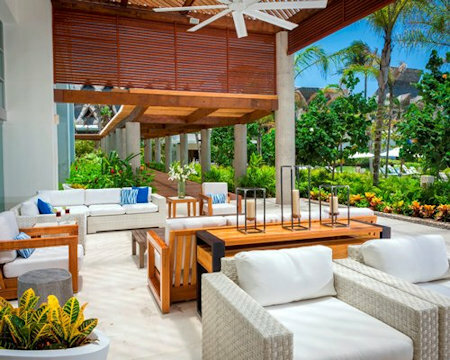 These rooms are located throughout the resort so the view from each one is equally breathtaking. Open the door and open your eyes to the jungle or the ocean. Each room has a private outside terrace where you can watch the sun set every day. Inside, the two full beds share direct views of the television and the outside, and there is ample space in the bathroom. UPGRADE TO A 1 BEDROOM SUITE FOR $50 FOR THE WEEK! Your 1 BEDROOM SUITE will sleep up to 5 guests, has 2 bathrooms and a partial kitchen. Your 2 BEDROOM SUITE will sleep up to 8 guests, has 3 bathrooms and a partial kitchen.